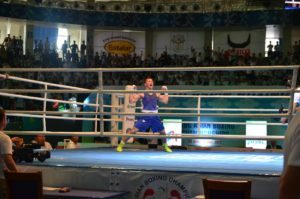 Uzbekistan was incredible in the recent edition of the ASBC Asian Confederation Boxing Championships with their nine gold medals and the Central Asian boxing power is planning to keep their thrones in Bangkok. Uzbekistan’s Rio 2016 Olympic Games winner Hasanboy Dusmatov was involved to the team and will be attending in his new category at the flyweight (52kg) in Thailand’s capital. The competition will be starting after the ASBC General Assembly with its first competition day on April 18 and the finals are schedule on April 26 when most of the Uzbeks have got realistic chance to compete in the last session of the event. 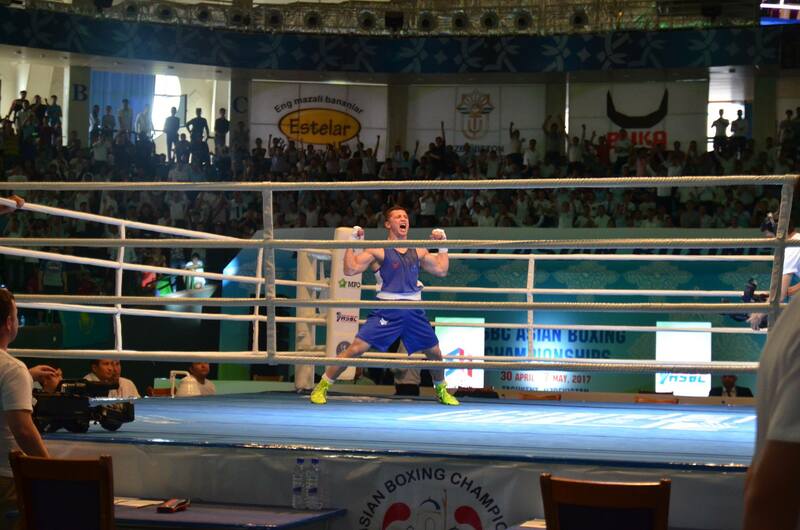 Uzbekistan topped the team rankings in the Rio 2016 Olympic Games besides to the last edition of the ASBC Asian Confederation Boxing Championships. Uzbekistan attended in several preparation events in the recent months including the Strandja Memorial Tournament in Bulgaria, the Duisenkul Shopokov Memorial Tournament in Kyrgyzstan and in the Volnova Prizes Women’s Tournament in Kazakhstan. Uzbekistan will be attending with almost maximum number of team size, nine women and ten men boxers in the ASBC Asian Confederation Boxing Championships in Bangkok. Uzbekistan’s historical female continental champion Guzal Ismatova is not able to attend in the ASBC Asian Confederation Boxing Championships due her injury but their best woman hope Rio 2016 Olympian 23-year-old Yodgoroy Mirzaeva (57kg) is in the team. She claimed bronze medals in the recent two editions of the ASBC Asian Confederation Women’s Boxing Championships. Fotimakhon Tursunboyeva replaced Gulasal Sultanaliyeva at the light flyweight (48kg), while Farangiz Khoshimova, who moved down to the flyweight (51kg), was involved to the travelling team instead of 19-year-old Sitora Shagdarova. Tursunoy Rakhimova ranked No.10 in the last edition of the AIBA Women’s World Boxing Championships in New Delhi and she is aiming for a medal at the bantamweight (54kg). Shakhnoza Yunusova (69kg) and Mavluda Mavlonova (75kg) are members of new generations of female boxing in Uzbekistan. Uzbekistan’s Rio 2016 Olympic Games winner Hasanboy Dusmatov is double titleholder also at the ASBC Asian Confederation Boxing Championships and will be making his debut at the flyweight (52kg) in Bangkok. As the light flyweight (49kg) was vacant in the Uzbek national team following his category change, Nodirjon Mirzakhmedov fought out his place and joined to his second ASBC event after 2013. Mirazizbek Mirzakhalilov (56kg), Bobo-Usmon Baturov (69kg) and Israil Madrimov (75kg) all claimed gold medals in the Jakarta 2018 Asian Games and have got strong chances to get titles in Bangkok as well. Mirzakhalilov was slightly better than Abdulkhay Sharakhmatov in the selection event at the final of the Strandja Memorial Tournament. Shunkor Abdurasulov (64kg) earned silver in the Asian Games last August while another 1998 born boxer Sanjar Tursunov (91kg) was bronze medallist in the Hamburg 2017 AIBA World Boxing Championships. Shukurjon Rakhimov (60kg) and AIBA Junior World Boxing Championships silver medallist Dilshodbek Ruzmetov (81kg) are the newcomers in the national team and will be making their debuts in Bangkok.